Caught By Canary: Halloween Edition | Canary Blog. The dark basement, noises you can’t quite explain and a feeling like someone—or something— is watching you. It’s all in your imagination, right? 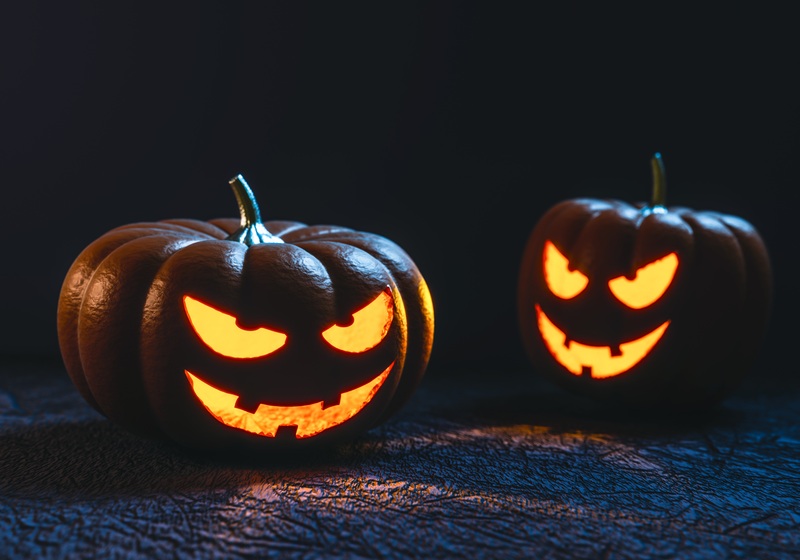 Canary users have been sharing some of the spookier moments #caughtByCanary and it’s enough to make us want to leave the lights on for a few weeks. Here are a few tales perfect for Halloween. Giant insects created by mad scientists were a popular menace for sci-fi films in the 1950s, think of classics like “Them!” or “The Deadly Mantis,” but this real-life scenario may be the scariest one yet. It starts off sublimely enough with a perfectly quiet suburban scene before a giant hornet appears. Even if the massive size is due to the insect crawling on the camera, we want no part of this movie. Luckily no one was around at time and we haven’t heard of any reports of giant hornets taking over a town…yet. This particular Canary member may be haunted by paranormal activities. She has captured bugs along with these mysterious orbs that appear out of thin air. Comparing the two videos makes it clear that it’s an apparition and not an insect misidentified as something else due to a trick of the light. Her Canary has caught these orbs in a previous video, so we can safely assume her office is haunted. As long as she has all her lights when she enters the room after midnight, she should be fine. We’re pretty sure this is just a bat and not Dracula. As Alicia explains it, she opened up her doors during a warm summer night only to discover she let something else into her home. Usually vampires need to be granted permission to enter a home. It seems like Alicia didn’t do that, which led us to our conclusion of a normal bat visitor. She’s safe and so is her bat friend whom she captured and released into the night. If you’re like us, a spider is probably the last thing you want greeting you after work — although that hornet is a close contender. For this Canary user, t’s a scene straight out of “Arachnophobia.” The spider appears to be relatively large and quite adept at creating a web in order to make its way from the ceiling to the floor. Letting the spider have the kitchen while you keep ownership of the rest of your home may not be the worst decision. Objectively, mice shouldn’t be too scary. They’re small, furry and are considered “cute” by many people. The trouble begins when a mouse is an uninvited guest in your home. They can creep up when you least expect it due to their stealthy nature. Once you spot one, trying to get rid of a mouse is easier said than done. While this mouse is just a little guy, it’s probably best he was caught by Canary. Unless you’re watching “Charlotte’s Web” or have a pet tarantula for some reason, spiders shouldn’t be hanging out in your home. Arachnids do have their place in nature as fantastic pest control, but we just haven’t figured out how to live with them. In the case of this user, the spider in his home seems quite comfortable. The spider seems to be performing for the Canary camera by making his way up and down a single thread. Now’s a good time to hit pause on all the spookiness. We can get carried away thinking about all the terrifying things that may be crawling, creeping or flying around our homes in the dark. That’s why seeing these two puppies playing is a much needed break from household horrors. A good horror movie always has a few decent twists to keep fans guessing. Maybe there are a couple of red herrings over who’s responsible or the main character was a ghost the whole time. In this video, the twist turns the supernatural into something else entirely. Sometimes, it’s best to be comforted knowing what’s going bump in the night is not something from the afterlife. Halloween wouldn’t be complete without some black cats. We decided to end our caught by Canary roundup with something less scary than giant hornets or roaches. Instead, we have this Canary customer’s tale of too many notifications. It turns out it’s just his two black cats roaming around late at night that triggered the motion alert. You don’t have to wait until Halloween to share your videos. Use #caughtbyCanary on Twitter, Instagram and Facebook and you could be featured in an upcoming post or win some cool Canary swag.